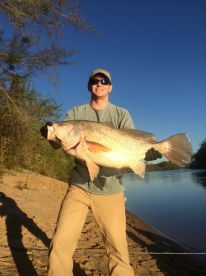 Often referred to as a ‘trash fish’, the Freshwater Drum is possibly one of the most unfairly treated fish in the United States. Not only is it a fine fighter, it can cook up superbly if prepared right. Always throw it over the side of the boat? Put it on ice and cook it up - you won’t regret it. 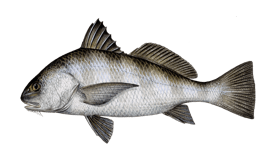 Commonly referred to as the Freshwater Sheepshead in the United States and the United Kingdom, it is also known as the Silver Bass (Canada) and Gaspergou (Louisiana area). 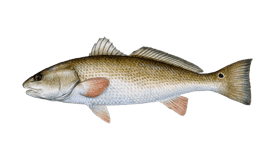 And while it bares no resemblance to the saltwater Sheepshead fish, Freshwater Drum is very much like the Red and Black Drums found on the coast. It is the only member of this family to inhabit freshwaters all its life. 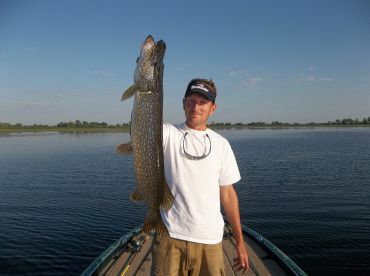 It also is extremely widely dispersed and can be caught in rivers and lakes from Canada down to Guatemala. Trashy? No, pretty interesting. 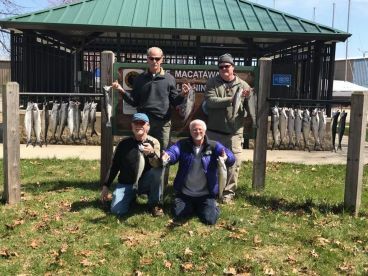 Often found in Lake Erie, Sheepshead / Drum is also commonly caught in Muskegon Lake and Lake Macatawa, as well as the Mississippi River. 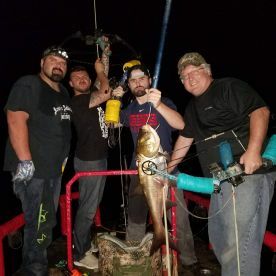 And while it usually weighs in at around 15 lbs, the world record all tackle monster was caught in Nickajack Lake in Tennessee, coming in at a whopping 54 pounds and eight ounces. 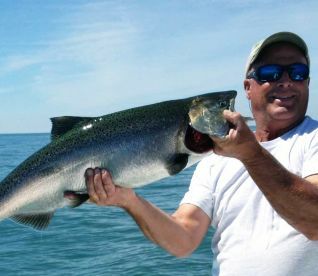 Although they are available all year round, Drum fishing really heats up in rivers and lakes in late June and early July, when they are spawning. 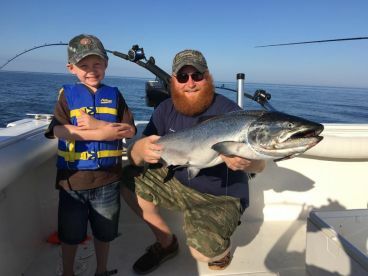 This peak coincides nicely with a drop in fishing for other popular species on the Great Lakes and their tributaries, giving you the chance to get a good fight - and a good meal - from a fish you probably haven’t targeted before. These fish are bottom feeders with voracious appetites. 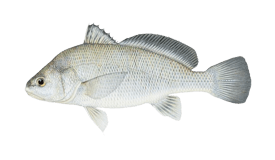 This means that the best Freshwater Drum bait is - well, pretty much anything. 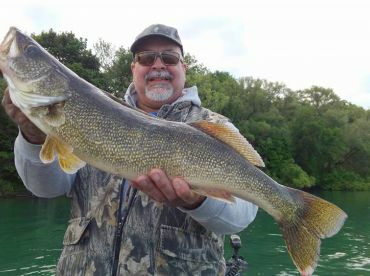 Minnows, redworms, crayfish, shad, and crickets are all hard for them to resist, while spoons, spinners, and crankbaits also get a very good reaction. As with other members of the Drum family, they are nocturnal feeders and are commonly caught at night around any source of light. 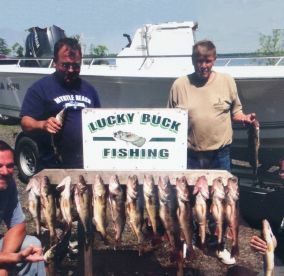 What about the sportfishing potential? Well, they fight like crazy. And with no official limits or closed seasons, they are about as good a target you can get. 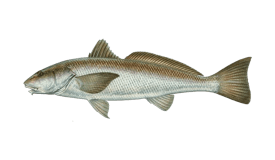 Possibly unfairly, the Redfish’s cousin suffers a terrible reputation as an eating fish. We’d like to challenge this. Fillet it and put it on ice immediately on return to the dock, cook it up that evening, and you are in for a treat. 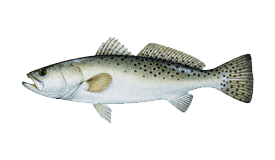 The fish has fairly tough flesh with coarse flakes and can be compared to a Cod or a Carp. Grill it, boil it, smoke or fry it… you won’t be disappointed.